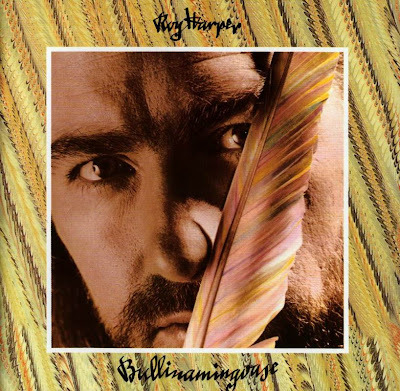 This album is one of Harpers most polished recordings, featuring a rich mix of musicians and instruments, including the Vauld Symphony Orchestra (named after the Hereford farm Harper owned and recorded in at the time). Brilliant lyrics, as 'clear' as Harpers guitar playing, make this a stand out album from Harpers back catalogue. The current CD release (Science Friction HUCD021) has been remastered with SNS 20-bit digital supermapping, allowing the 'full texture' of the music to be appreciated. Originally the album contained the song "Watford Gap" which contained somewhat disparaging lyrics "...concerning the Watford Gap service station, a motorway service area situated between junctions 16 and 17 of the M1 Motorway, near Watford Gap, in Northamptonshire, England". "Watford Gap, Watford Gap, a plate of grease and a load of crap" sang Harper. "Subsequent pressings omitted the song at the behest of an EMI board member who was (also) a non-executive director of Blue Boar (the owners of the service station)...". Under duress, Harper replaced the controversial track with "Breakfast With You", a song Harper himself allegedly described as "pap". In the USA the album was released under the title "One Of Those Days In England".